It is possible to build a functional, eCommerce-friendly website with Moonfruit. However, in many ways, this builder still lags behind its competitors and requires serious upgrading to make it more modern. Moonfruit Has a Definite Learning Curve, but It Is a Good Starting Point for Anyone Looking for an Affordable Website Building Platform. 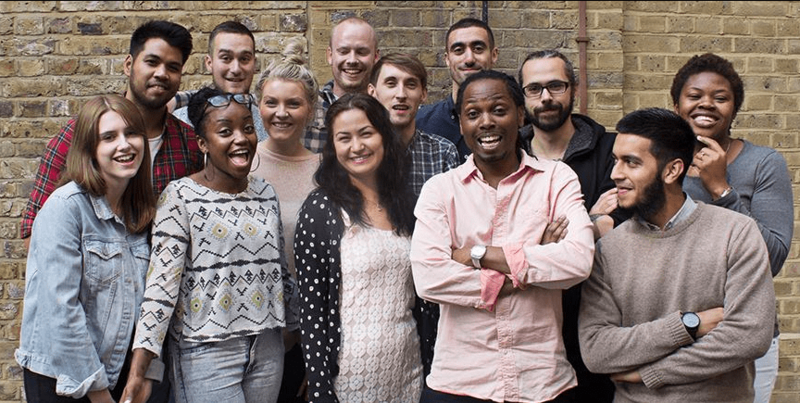 Founded in 2000, Moonfruit has been around longer than other well-known website builders, such as Strikingly and Squarespace. Just like other builders, Moonfruit lets you create a responsive website without any programming knowledge required. While anyone can build a functional and good-looking website at very competitive rates using Moonfruit, this builder still lacks the ease of use and seamlessness exhibited by more modern site builders. A major reason why Moonfruit looks and feels clunky is that the site editor is Flash-based, which the owners admitted to, and attempted to remedy, by introducing several new features, including a responsive editor. While there is only a small number of responsive templates, these can be customized by fine-tuning individual elements or shifting entire content blocks around. The editor itself is not the easiest to work with, but it does let you build functional pages onto which you can add maps, forms, galleries, embedded videos, social feeds, and more. Moonfruit doesn’t offer a built-in eCommerce function. Instead, the Shoprocket engine provides a robust and impressive eCommerce platform that’s worth checking out. All in all, this builder has a long way to go in terms of offering more modern features for user-friendly website building. Even then, Moonfruit is a good alternative if you are looking for an affordable builder that simply helps you create a basic website. Customizable Themes for Every Business. Industry-wide templates: Moonfruit has a decent number of templates catering to a wide array of industries. Not all its templates will sweep you off your feet, but with a little digging, you will find one that meets your needs. Mobile responsive: Moonfruit has yet to catch up with advances made in mobile responsive technology. Its templates are not inherently responsive. Instead, you would need to toggle with a Mobile button on the main toolbar to format your site for mobile devices. Fortunately, mobile editing is possible, so you can tweak the basics including text and background colors. Customizable: There is an array of basic customization options which allow you to bring your theme to life. However, I couldn’t find any HTML/CSS editing options, so it would be safe to say that advanced users might be disappointed by the lack of access to site code. Standard Tools That Will Add Functionality to Your Site. Blog: While it is commendable that Moonfruit has an integrated blog, this function is not as advanced as it is on other builders such as Voog or Wix. Yes, you will find the basic features including a comment box, drafts, and an RSS feed but that’s just about it. The blog feature is not available for responsive pages; it is only available on the old non-responsive editor. This makes Moonfruit a less desirable platform for any serious blogger. 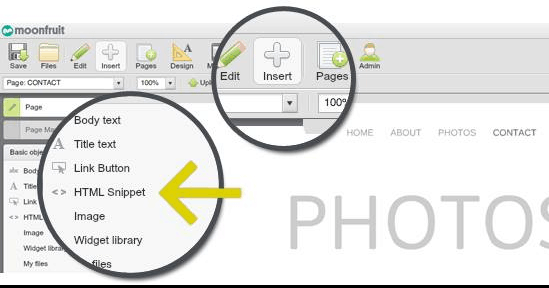 If you want to use the responsive editor, you would need to integrate the blog using a WordPress widget, which only increases the learning curve. eCommerce: The Shoprocket engine does a good job of supporting the eCommerce function on Moonfruit. You would, however, need to upgrade to the eCommerce Lite or eCommerce Pro (for selling digital products) plan to set up an online storefront. The upside is that even as a third-party integration, the eCommerce platform lets you build a robust shop with product customization options, categories, and currencies. You can also set up a Facebook shop that links directly to your on-site store. Unfortunately, PayPal is currently the only payment option, which is limiting for customers. Marketing tools: Moonfruit offers standard marketing features, and while there are no bells and whistles to speak of, the available tools do a good job of helping you optimize your site for the search engines. Key features include Google Analytics integration, access to Google Webmaster, and custom SEO for individual pages. Other cool features that may come in handy as you set up your website include an app store, social media integration, and an image gallery. Clunky Editor Increases Users’ Learning Curve. Moonfruit has two types of editors—the old non-responsive one and the new responsive editor. This be a bit confusing, especially for a beginner who is building a first website. The non-responsive editor is outdated and draggy but it allows for quite extensive customization. However, beginners would have to contend with a steep learning curve, given that working with the tools in the editor can be complex. Many of the tools and elements are hidden, requiring you to go on a discovery mission to find and apply them. 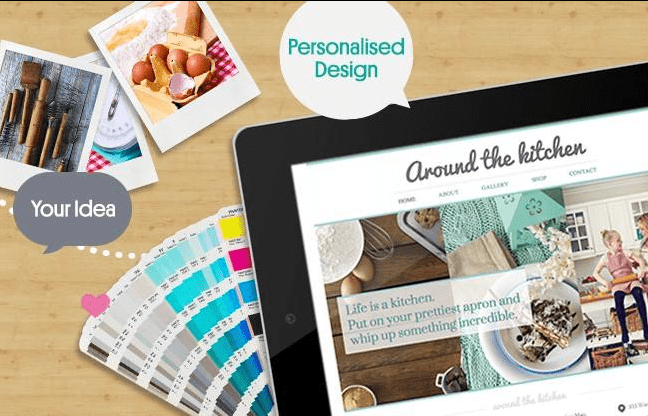 Bring Your Website to Life with Easy Customization. Some of the functions are user-friendly. For example, there are many ways to customize elements, so you will spend less time figuring how to tweak things like text color and size, link type, animations, and button shape. Also, all changes you make can be previewed on desktop or mobile. 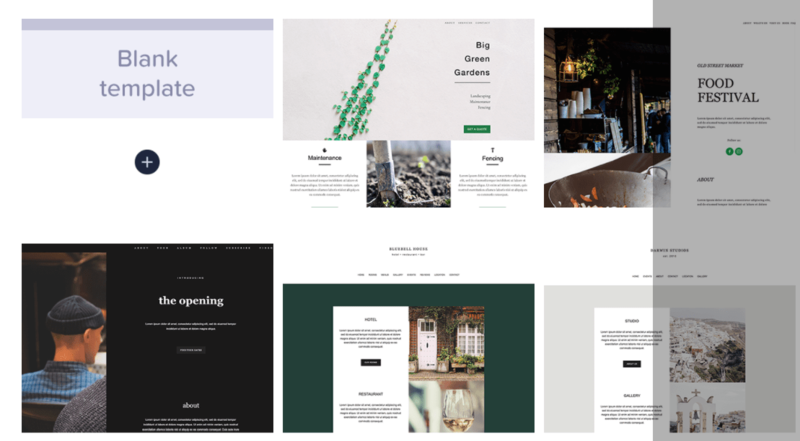 While modern site builders such as Squarespace limit how and where you can place objects, Moonfruit gives you complete freedom to drag and drop elements anywhere on a page. The Align and Gridline tools keep your creativity in check to ensure that elements are uniformly aligned throughout the website in keeping up with principles of good design. More Needs to Be Done to Make Support More Responsive. Moonfruit has a searchable knowledge base that covers the basics and nothing much beyond that. The support team would certainly do a better job by beefing up the knowledge base to offer more value, especially to beginners. One would expect the live chat support to be available around the clock, but this isn’t the case with Moonfruit. After asking a question, I waited over 24 hours to receive a response. Moonfruit claims that the average response time is “pretty fast” but you will likely only get a quick response during office hours, which are Monday to Friday 9:30 am to 6 pm GMT. The support team can also be reached by filling out a contact form, but there is no phone support. Overall, Moonfruit’s support is not always as responsive as one might expect. Affordable Prices to Help You Bring Your Business Online Inexpensively. The competitively priced plans are perhaps one of Moonfruit’s best features. If you are looking to build a simple website, the Basic plan is a good place to get started. This plan offers one website with unlimited pages that feature Moonfruit ads, a custom domain, and 500MB storage. The Professional plan for small businesses is the most popular. This one lets you build up to 5 websites with unlimited, ad-free pages, 10GB storage, and support for a custom domain. The eCommerce Lite plan is ideal for businesses that want to sell unlimited products online. It gives you access to one site with unlimited, ad-free pages, 20GB storage, support for a custom domain, and an option for product customization. Upgrading to the eCommerce Pro packages gets you everything offered on the eCommerce Lite plan with the added capability of selling digital products. Wondering how Moonfruit stacks up against other Website Builders? Enter any other Website Builder and we will give you a side-by-side comparison.